Gautier is a clothing store located in San Antonio, Tx. The store sells evening and graduation dresses, including different brands such as Sherri Hill, Jovani, Alice, among others. Gautier has two branches in two important malls of the city and the main objective of the brand is to position itself as an elegant store with variety and good service. The logo was made by making several sketches on paper before arriving at the digital form. I was looking for something simple but original to keep track of the objective of the brand. The letters of Gautier are approximately 13X high, except for the G that is 15X. 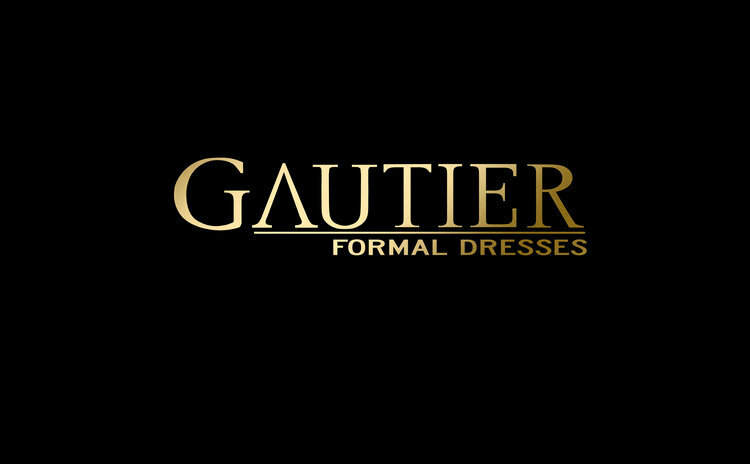 There is a line of 1/3X that separates the word Gautier from the word Formal Dress. This line is 1X away from the "floor" where the letters fall. The letters "Formal Dress" are 3.5X high and are 1X between the line and the "head" of the letter. The area of espect, which is the minimum space that must exist between the logo and other elements, is at least 6X in all directions. (Taking the letter T as reference the unit X is = to 1/13 of R). 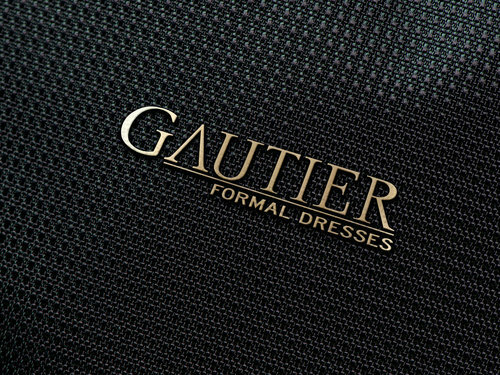 The word Gautier is written in vectors while "formal dresses" was written with New Times Gothic MT, optionally it can be used in "bold" to give more thickness to the letter if needed. The original logo was printed on metal sheet to decorate the store. Later, the Gautier logo changed slightly to adapt to the digital version, adopting a soft golden color and a black background. Being gold, black and white the official colors of the brand. You can also find this combination inside the store printed on labels and stationery. The website aims to present the dresses, so it is not intended to saturate with any other content on the page, it is maintained only with the logo in black and white, the navigation bar and the dresses that rotate in a Carousel on top and the names of the marks on the bottom.